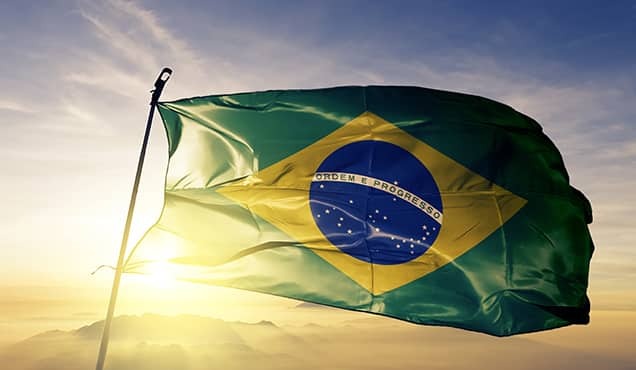 A month is already gone and the first messages we have received for 2019 might not be as promising as some shipowners would have earlier wished for. After a very good performance during the last quarter of 2018, demand for VLCCs seems to have slowed down quickly. However, we can't forget that seasonality must have had a significant impact as well, with the Chinese New Lunar Year. 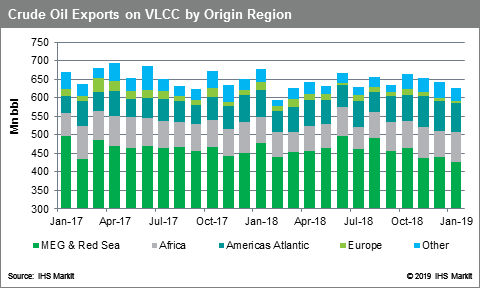 Focusing on total volumes loaded on VLCCs, the month-on-month change reached - 2.3%, the lowest since September 2018. The situation looks even worse based on readings of the year-on-year change with a drop of 7.5% to report. The market seems to have returned to levels last seen in March/April 2018, with 628.3 Mn bbl loaded on this size class last month in total. The main driver behind this slowdown has been without doubt the decreasing volumes exported from most OPEC members. As we can see in the chart below, the market share of exports originating in the Middle East Gulf and Red Sea remained below 70% for a fourth consecutive month, falling further down to 67.8%. 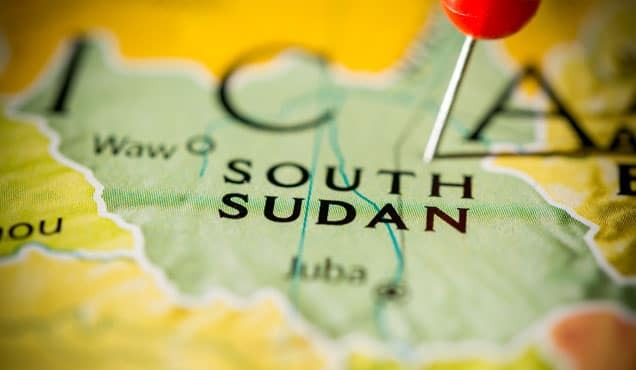 During 2018, the region was responsible for around 72% of all crude oil loaded on VLCCs. 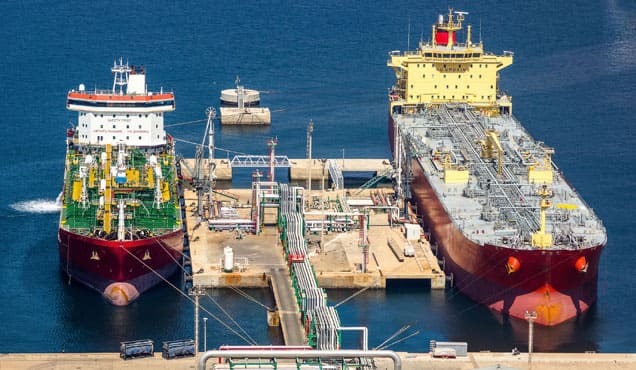 The major drop in VLCC loadings has been experienced by Iran, while the United Arab Emirates and Iraq reported rather negative results as well. 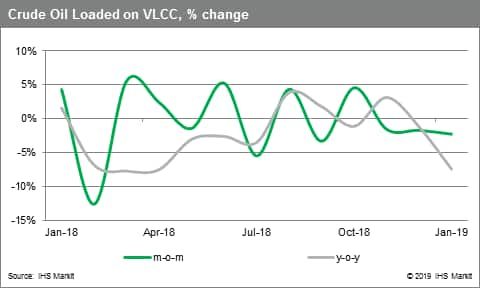 Saudi loadings on VLCCs, in contrast to market expectations, seem to have expanded last month, by 8%, but only after decreasing by 10% and 13% in November and December 2018 respectively. Year-on-year, however, VLCCs loaded 14% less than they did than a year ago. Of great interest has been the response of VLCC operators and the changes caused across the crude oil tanker market. 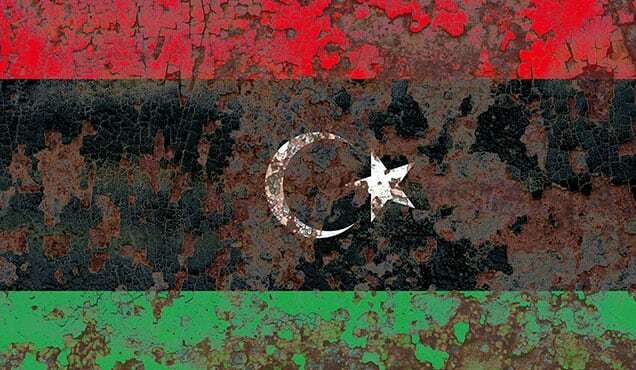 Most owners realised early enough, that the activity in the Middle East Gulf would not be satisfying, several of them targeted and in many cases secured cargoes from Western Africa. In January, the region's exports loaded on VLCCs increased by almost 30% month-on-month, having reached 72.3 Mn bbl, much higher than last year's average monthly exports of 60 Mn bbl. 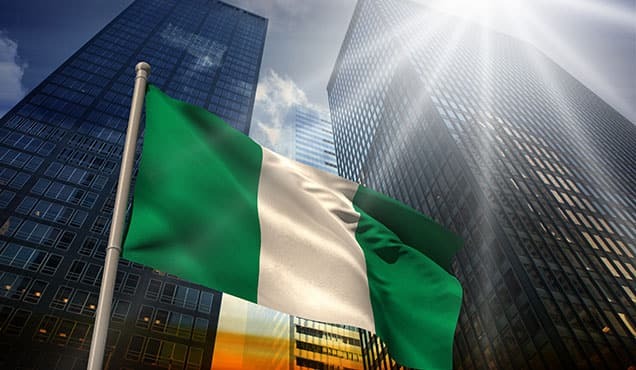 Nigeria dominated the interest of the segment, with slightly more than 20 Mn bbl of crude oil loaded on VLCCs in total during January. This translates into a massive increase of 43% month-on-month. Angola is still leading the local market for VLCCs with 36.4 Mn bbl loaded last month, but with a much lower month-on-month growth to report. However, this increase of 14% is rather strong to simply ignore. 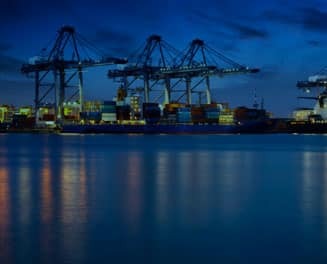 This development might prove rather positive for the freight market, as more loadings from Western Africa and the Atlantic coast of the Americas, instead of the Middle East Gulf, could push the average distance for laden VLCCs to increase as well. As a result, the employment rate could move upwards, even if actual cargo loaded might be less. 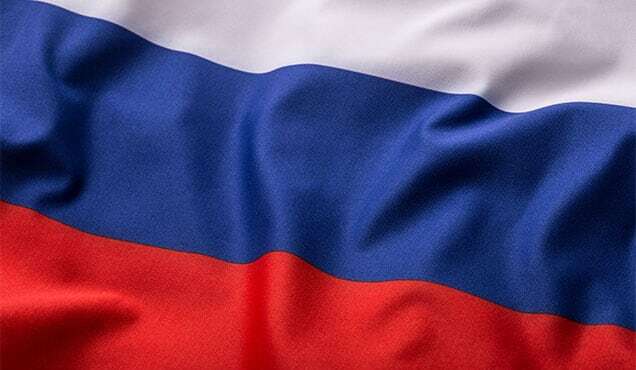 Finally, we should make a reference to VLCC loadings in the US PADD 3, which surpassed the previous record high of 24.9 Mn bbl observed back in July 2018, before the country's trade war with China, the major crude oil importer globally, started affecting global crude oil trade flows. 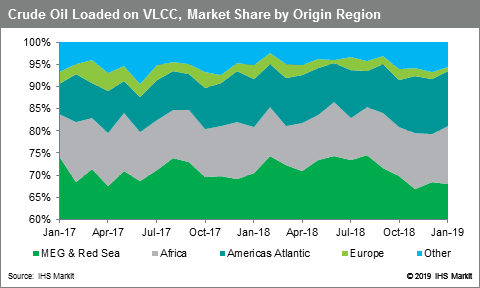 Having exported 25.6 Mn bbl, US PADD 3 now represents more than 4% of the global exports on VLCCs, while US market share stands at 4.6%, including exports from other US regions on VLCCs. 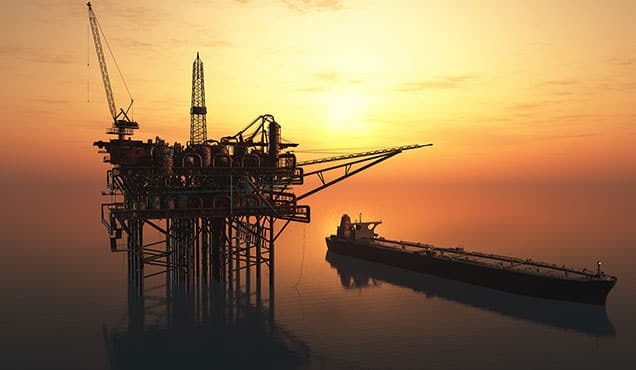 As the US crude oil output is expected to further increase in the coming months, we'll have to wait and see how much of this additional cargo could be lifted by VLCCs. Overall, the market seems to need more time to adjust to so many changes developing in parallel, as we approach 2020, but this size segment still looks rather promising.